I didn’t believe them. I really didn’t. I thought that all of the bloggers and foodies that gush about zucchini noodles and how amaaaaaazing and perfectly al dente and no one will ever know it’s good for you were completely off their rockers. Moment of humility here–they were right!! 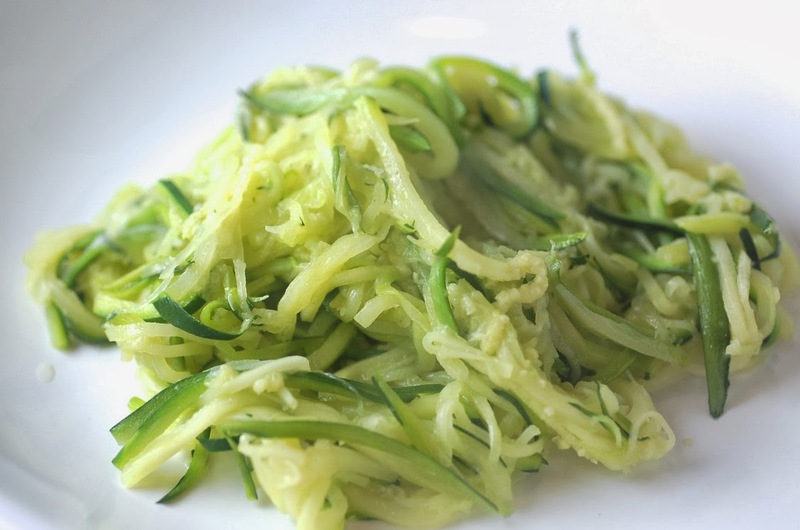 These zoodles were a culinary surprise. Perfectly dense, and certainly not mushy like I assumed they would be. Their fresh flavor was perfectly complimented by a tasty ragu we put on top. The best thing about the zoodles was that they were incredibly easy to make. (Although, don’t try to slice off your pinky finger in the mandolin slicer like I did.) Slice, sautee, serve. It’s that simple. I am looking forward to making them again. Next time I would like to top the zoodles with a pesto, pea, and feta combination. I also bet the zoodles would be great as a replacement for the pasta in a pasta salad. If you are a skeptic like I was, trust me. The zoodles are worth making. I promise. 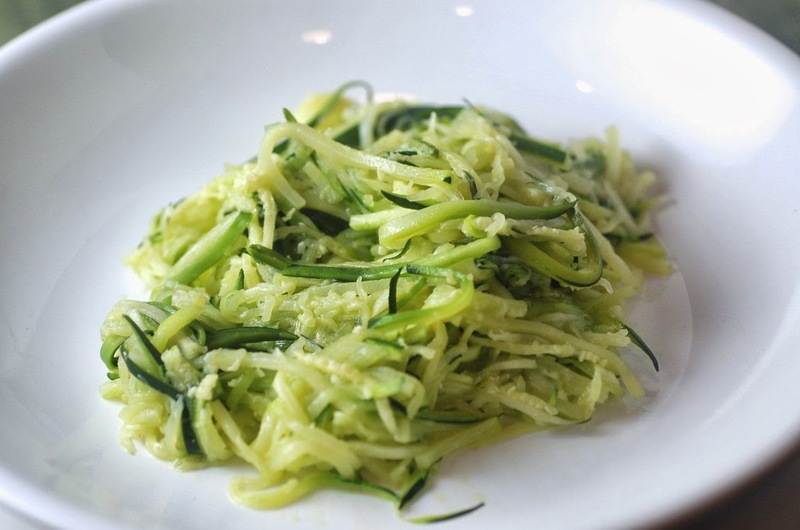 Use a mandolin slicer to carefully julienne all of the zucchini. Add the minced garlic and stir. Make sure not to burn the garlic. Add the zucchini and stir. The zucchini will begin to emit water, thus preventing them sticking and burning, but you’ll need to watch. If you have to, add a splash of water. Let the zoodles cook for a few minutes, while stirring regularly. They are done when they have reached your desired tenderness. Top with something delicious. ENJOY!